We have 30 Rooms, 19 of which are on the riverside with one or two beds, 3 large family rooms and 8 economy rooms. Our highest standard rooms suitable for up to 2 people, feature additional towels, premium tea and coffee and Ironing facilities. 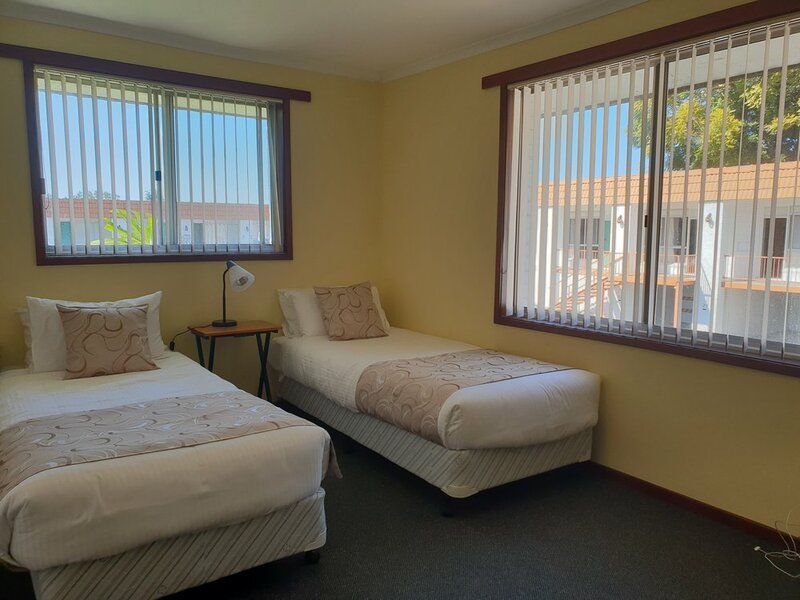 Situated at the most peaceful area of the motel, this room type offers closest proximity to swimming pool and access to the Riverside picnic tables. More spacious than our economy rooms and sport a desk or coffee table. Most popular with couples and corporate clients. Inquire about corporate rates by phone or email. Our Standard rooms feature access to the riverside. Still larger than our economy rooms, includes ironing facilities and additional towels in the room. Suitable for up to 6 people, consists of 2 separate rooms with a lockable interconnecting door. Suitable for up to 5 people, consists of 2 rooms with an interconnecting door and separate televisions in each room. 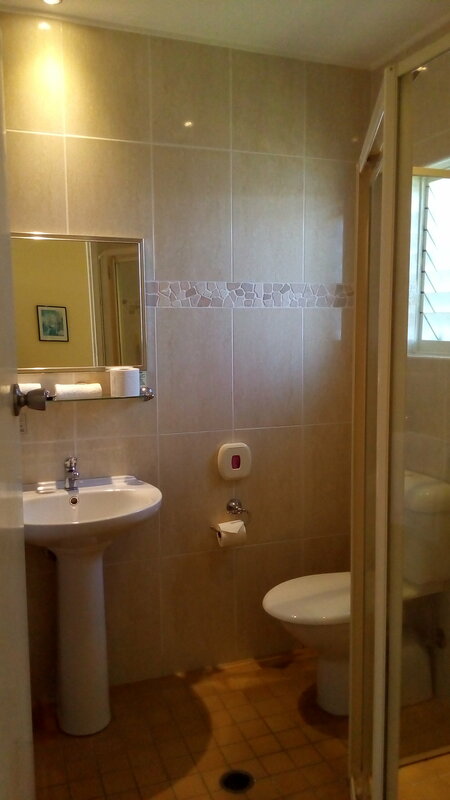 Features a modernized bathroom and kitchenette with fridge, Sink, utensils and microwave oven. 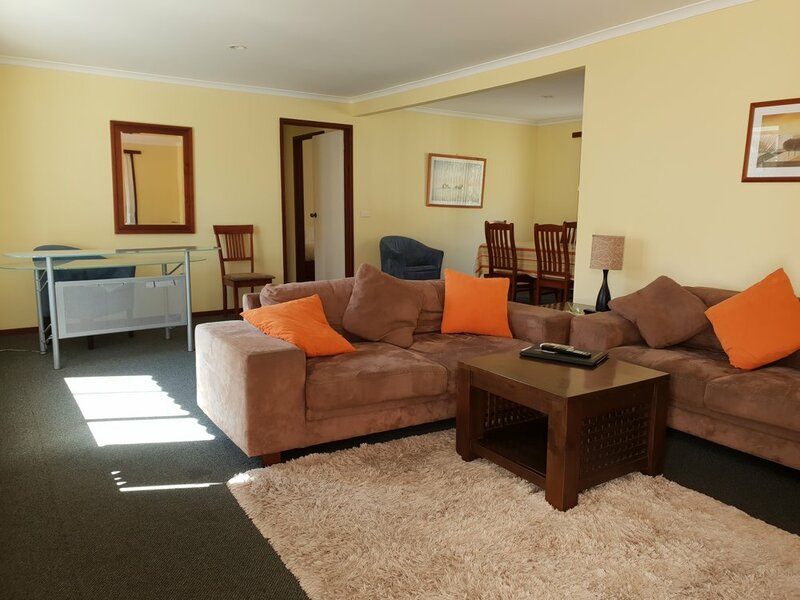 three bedrooms: king, queen and 2 singles. Suitable for up to 6 people. Consists of 3 bedrooms, kitchen, dining area and living room. Securely located up a flight of stairs behind the reception. Bathroom includes shower and bathtub. Basic room comes with all necessary amenities listed at the top of the page. Includes covered parking just underneath the room. All economy rooms are located up a flight of stairs.